The summer was coming to an end and Bond and I needed some coasters so the two of us hopped in the van and headed up to Gurnee one Thursday morning in August. 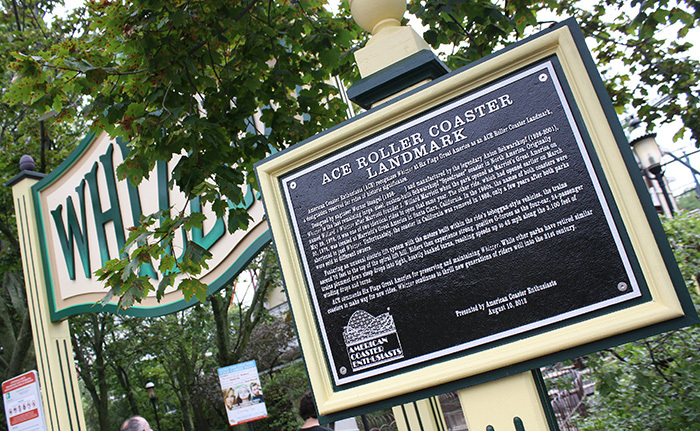 Shortly before our visit to Six Flags Great America the American Coaster Enthusiasts made a visit for their Preservation Con and gave the Whizzer some love by declaring it an ACE Roller Coaster Landmark as it's the last of it's kind in North America. 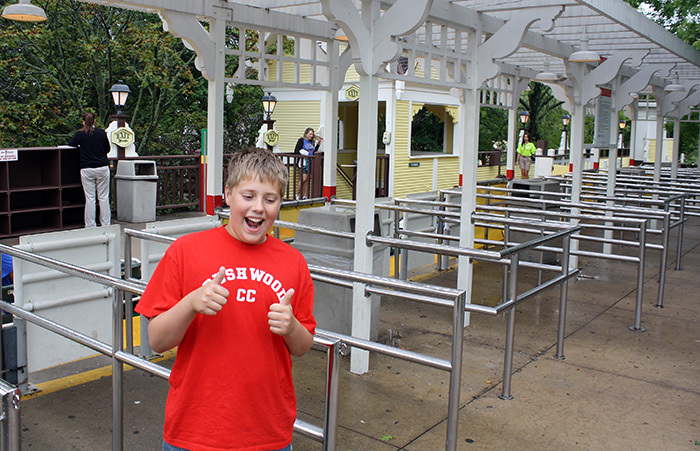 Being a weekday and with rain in the forecast we were pleased to end up with a completely empty Whizzer queue and a completely empty Six Flags Great America. 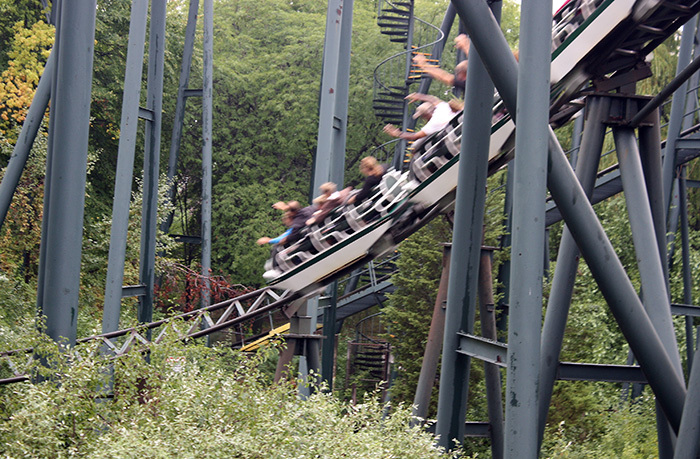 The Whizzer is such an amazingly fun ride that still has people flocking to it after 36 years of speeding around the track. 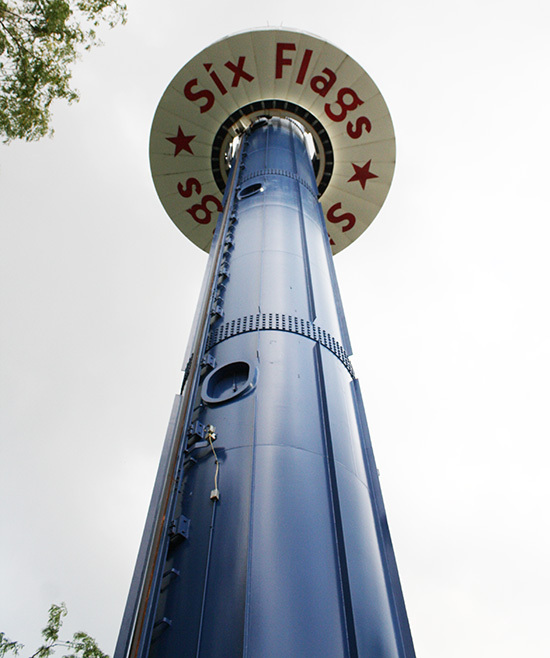 Speaking of old school rides that opened with then Marriott's Great America the Sky Trek Tower is always a good ride. 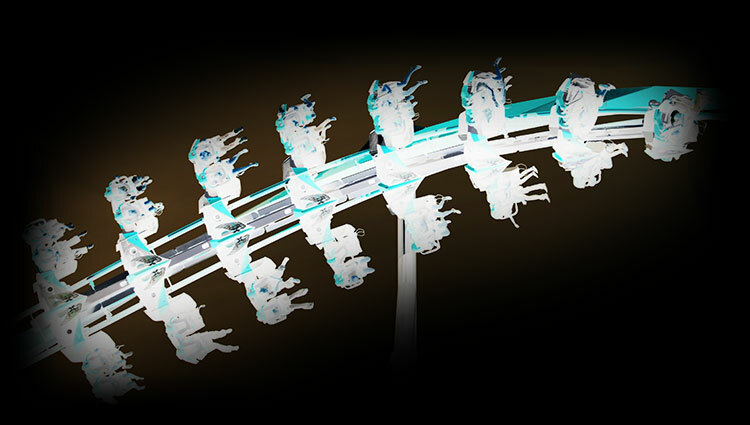 Plus you get to see as you ride the tower where the crowds are and head to rides that have smaller lines.